On May 16th, we sadly said goodbye to Diane Stenhouse who passed away peacefully while surrounded by her immediate family. She will be greatly missed by the love of her life, Tom, her daughters, Shannon and Cathy, sons-in-law, Del and Ryan, and her grandchildren, Josie, Rylie, Christopher and Taylor. Words cannot describe the impact that Diane had on the lives of her family and friends. She is fondly remembered as the heart and soul of our family. She was always the brightest light in the room, and her easy laugh was infectious. Diane touched everyone she came into contact with. Friends and family were greeted at the door of her Water Valley farm with open arms; walking through her door felt like coming home. Diane was a great listener, a thoughtful advice-giver, and an all around grounding presence. 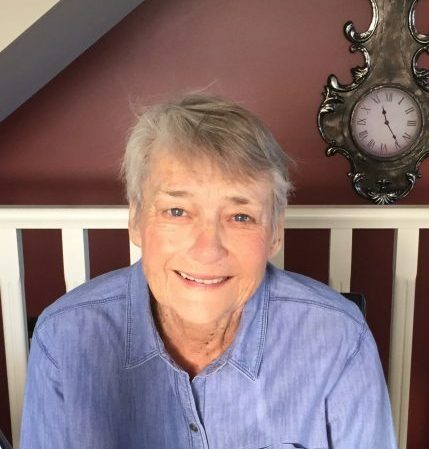 She was heavily involved in the lives of her four grandchildren who will always remember her dedication to attending both the major life events as well as the small, everyday trivialities that turned out to not be so trivial after all. Diane was passionate about gardening, cooking, and baking. A day at the farm would often conclude with a tour of her perennial gardens, or her greenhouses. Although she could never quite explain her baking talent to those that tried to learn from her (“the dough just feels right”), her family came to expect a picture-perfect pie for dessert. She could turn an empty pantry into a delicious casserole without thinking twice. Above all, she loved spending time at the farm with her family. Every year on boxing day, the family gathered in the sunroom at the farm to play games, eat homemade soup, and appreciate each others company. Diane was the centrepiece of afternoons like these ones, making sure everyone’s plate was full and their hearts were happy. Although she has passed on, we feel her with us everyday and know that she will continue to be present in our lives, as she has always been. Diane’s family would like to extend a sincere thank you to all of the caregivers involved in her journey. We would like to express a special thank you to Dr. Anna Tomanek, who has gone above and beyond for Diane and for our family, and to the ‘angels’ at Dulcina Hospice, who’s compassion and quality of care goes unparalleled. Diane’s family will be having a private celebration of her life. Memorial donations may be made to the Dulcina Hospice in Calgary. Ry and I were saddened to hear about Diane’s passing. The obituary is beautiful. Diane was an incredibly compassionate person. She was also one hell of a good nurse and therapist who I (Murray) enjoyed working with immensely. The world has truly lost a most generous person, but I know her spirit lives on in your family who will glean more and more wisdom from her character and example for the rest of their lives, and from them will spread to your community. I really wish we had seen your farm in Cochrane, and visited you there. It sounds like a perfect place to settle down. Although I have only known you and Diane a few years, you both became like family. I will always cherish my visit with you at the Farm. Diane showing us her garden and the yard and serving us a delicious lunch as only she could. Also very special, were the many times in your patio in Val Vista and the drinks and conversation. Many wonderful memories of a lady that was so special!! My thoughts and prayers are with you. Dear Tom, Shannon & Del, Cathy & Ryan & Grand Children!! So sorry we have all lost Diane. She was a wonderful cousin & friend. Will really miss her. Thank you for letting me go and visit so much. We really had some wonderful – heart wrenching talks, a few tears (actually lots of tears) and oh so many memories. They have helped these last few months & I surely hope it helped Diane too. Love & Sympathies for the loss of a WONDERFUL Wife, Mother, & Grandmother. When I think of Auntie Diane, I remember how positive, encouraging and joyful she was. It was always so much fun to get together. Although I did not get to see you all much in the past several years, I am thankful for the time that we did have. I’m praying for you guys, that God will comfort and strengthen you. My heart is so heavy for you and the grief that you are going through right now. We were very sorry to hear of Diane’s passing. She has had a long struggle. She was a special person. It was so nice to have been able to have a good visit with her at the Leonard cousin afternoon up at Carefree resort at Charlotte & Helmuts lake lot last September. It was so good Diane could be there. We always enjoyed our visits at your Water Valley farm. You were great hosts. Great memories. Our thoughts and prayers are with you ,Tom , Shannon, Cathy and your families. We were very sorry to hear of Diane’s passing. She had a long courageous battle. She will be missed. She was a lovely person, and we always enjoyed visiting with her. It was good we had a Leonard cousins get to gether last September at Charlotte & Helmuts lake lot at Carefree resort. Diane was able to come and it was a great afternoon of laughter and memories. Also our visits at your Water Valley farm were a lot of fun. We will always remember her . Gene , Marilyn & family. Tom and Family , it is in great sadness in the news of Diane’s passing . I had the great pleasure of getting to know Diane in Calgary and in Arizona. Diane was so kind and generous and will be deeply missed . Tom and family ,please accept my deepest condolences for your great loss. My thoughts and prayers are with you all. Dear Tom & Family. We will miss Diane so much after meeting her in the Mesa Park 10 years ago & she became a instant friend. Loved her visits on her evening walks through the park & sharing a glass of wine with us. So glad we got to see her in Cochrane last September. Hugs to you Tom and your family. It is with heavy hearts we offer you, Tom and your Family our sympathy and condolences on Diane’s passing. 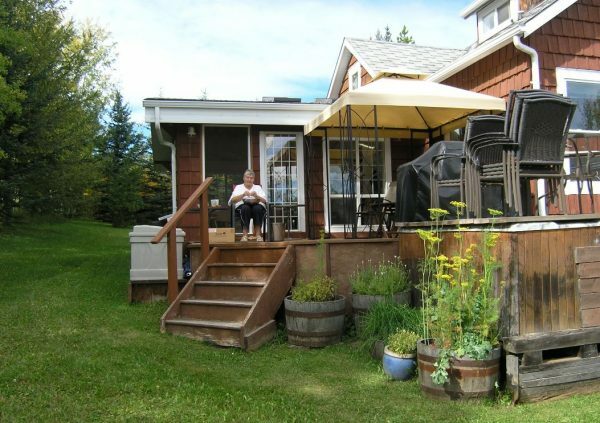 I will never forget our idyllic childhood spent together in Holden, Alberta. We happily were able to reconnect in our retirement years. Diane was still the beautiful person I had remembered and our visits were times I will always cherish. I am sorry we were unable to visit Diane during her last months of illness but will always remember her as she was, a very dear friend.